With exciting projects now mushrooming across Europe, the high profile rewilding movement is playing an increasingly influential and impactful role in European conservation. Founded in 2011, Rewilding Europe is spearheading this movement, with operational areas stretching all the way from Portugal and Lapland to Romania and Bulgaria. The LIFE WolFlux project “Decreasing socio-ecological barriers to connectivity for wolves south of the Douro river”. The Cambridge Conservation Initiative Endangered Landscapes Programme project “Creating a wilder future for the Greater Côa Valley“. Project Manager (full-time, 1 fte): Reporting to the Western Iberia Rewilding Area team leader, he/she will work in close cooperation with the Western Iberia Rewilding team, ensuring that Rewilding Portugal meets its executive contractual obligations and that all projects – including those outlined above – are run in line with internal organisational policies and practices. Financial and Accounting Officer (part-time, 0.65fte): Primarily responsible for managing the financial administration and preparing the necessary reporting for the two new projects outlined above. Communications Officer (part-time, 0.5fte): Working with the Western Iberia team leader and other team members, he/she will take the lead in developing and delivering a communications strategy for Western Iberia, implementing a fundraising strategy, ensuring synergy with the communications managers of the Rewilding Europe Central Team and communications colleagues in other rewilding areas, and helping to promote the Côa Valley as a top rewilding area and nature-based tourism destination. All three positions will be based at Rewilding Portugal’s home office in Guarda. 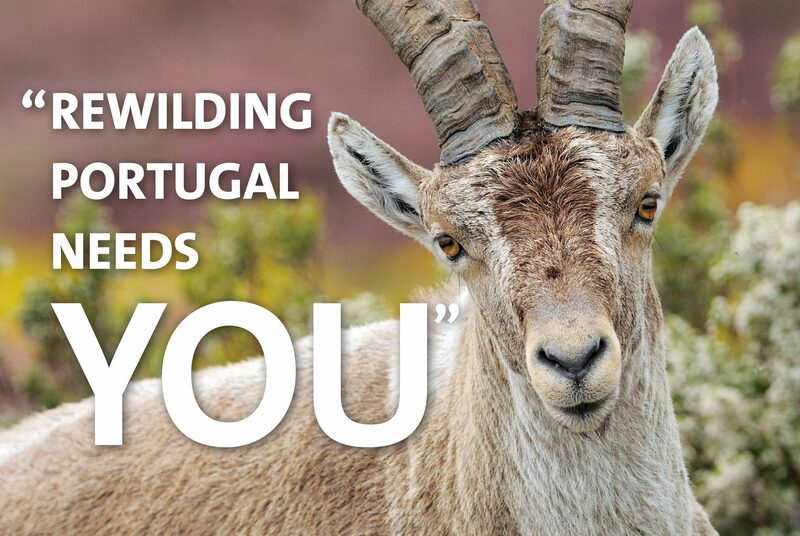 If you think you have what it takes, and really want to make a difference to conservation in Portugal and Europe, please send your CV and motivational letter to pedro.prata@rewildingeurope.com before Friday, December 14. Please also send any queries regarding these positions to this address, or call +351 912196778. A full Project Manager job description can be downloaded in PDF form here. A full Financial and Accounting Officer job description can be downloaded in PDF form here. A full Communications Officer job description can be downloaded in PDF form here.